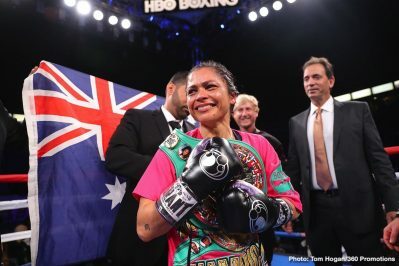 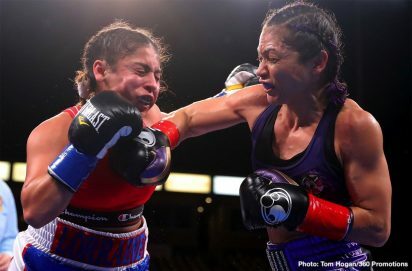 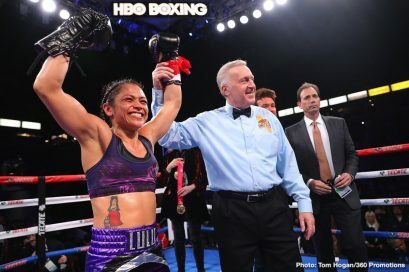 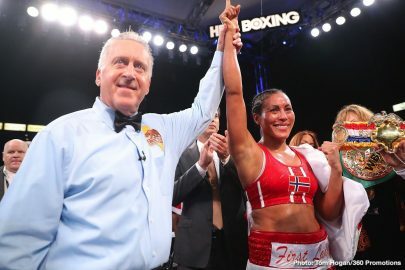 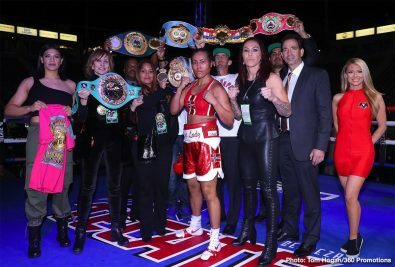 As HBO celebrated their 45-year history of boxing telecasts, ‘The First Lady’ Cecilia Braekhus improved to 35-0 with nine knockouts with a ten-round unanimous decision over Aleksandra Magdziak-Lopes, (18-5-3, 1 KO), in the main event of HBO Boxing After Dark at StubHub Center in Carson, CA presented by Tom Loeffler’s 360 Promotions. Dominating from the opening bell with a full array of heavy-handed combinations and a displaying her full skill set, Braekhus continued to validate her position as the Consensus #1 Women’s Pound-for-Pound Fighter in the World as she defended her UNDISPUTED titles in the welterweight division (WBC, WBA, WBO, IBF, IBO and Ring Magazine). 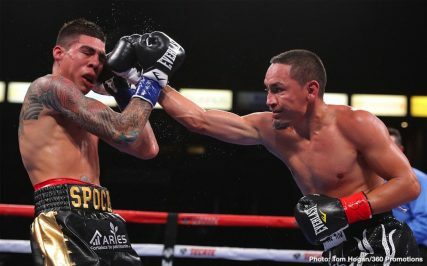 Scores were 100-90 twice and 99-91. 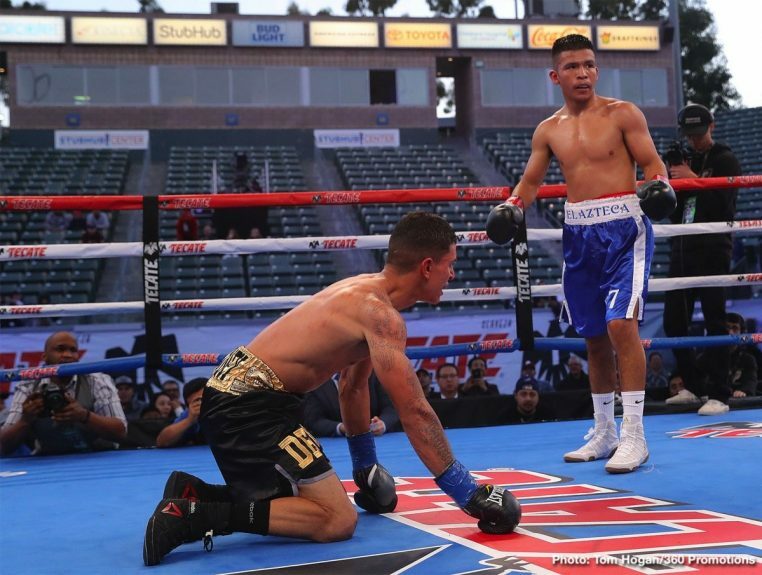 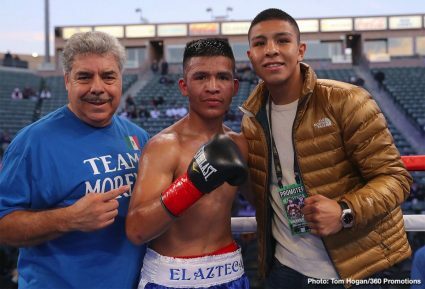 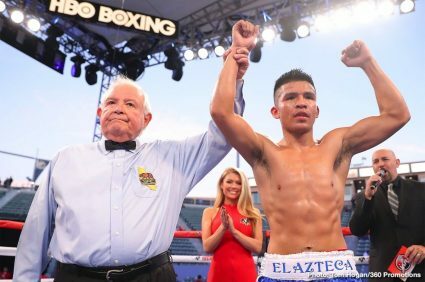 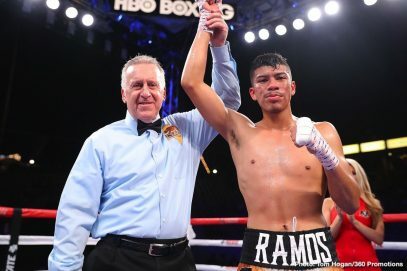 In the co-featured bout on the telecast, #1 world ranked super-flyweight Juan Francisco ‘El Gallo’ Estrada, (38-3-0, 26 KO’s), of Sonora, Mexico stopped cross-town rival Victor ‘Spock’ Mendez, (28-4-2, 20 KOs) after seven rounds of their spirited scheduled ten-rounder. 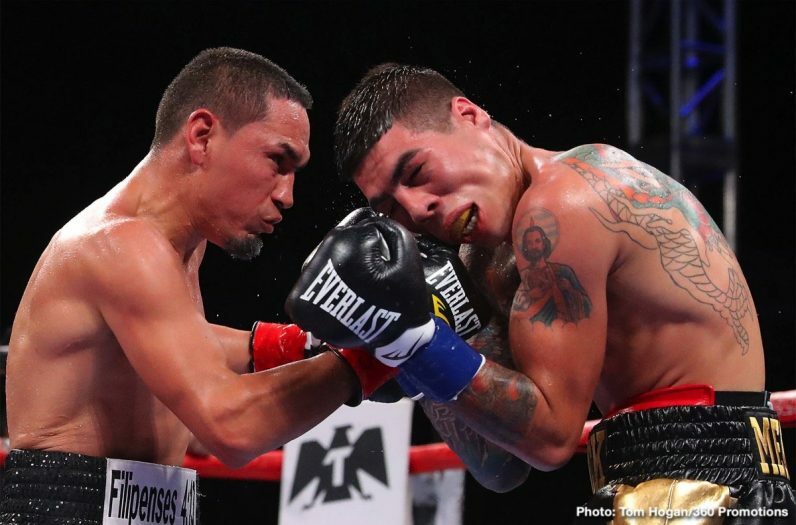 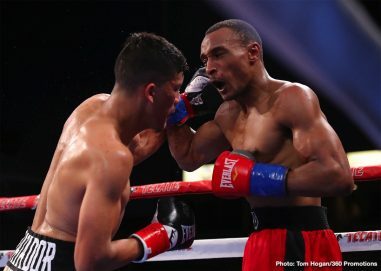 Mendez’s corner advised the referee after the seventh round that the fight was to be stopped. 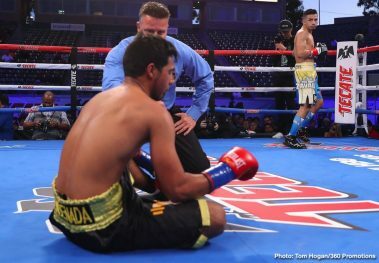 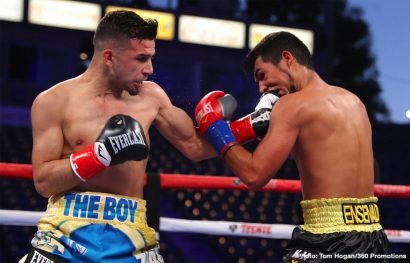 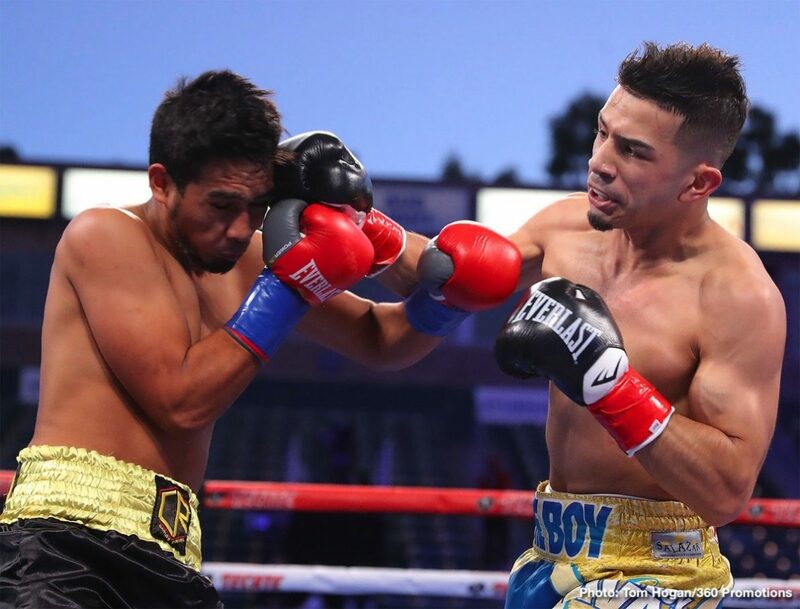 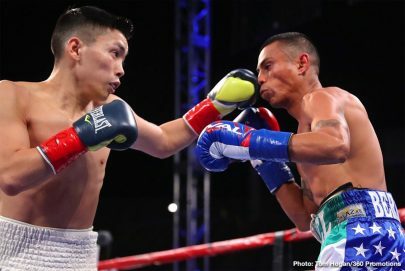 Overcoming a somewhat slow start, Estrada would find the mark for his trademark heavy-handed combinations in the third round and picked up steam with each stanza causing the stoppage. 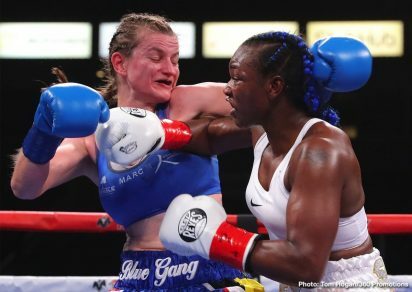 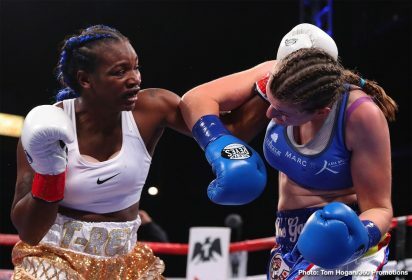 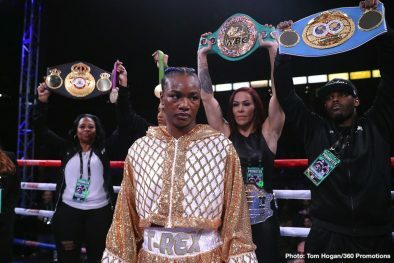 Opening the telecast, two-time United States Olympic Gold Medalist and WBC/IBF/WBA Women’s Middleweight World Champion Claressa Shields, improved to 8-0 with two knockouts with a ten-round middleweight decision over WBO Women’s Super-Middleweight World Champion Femke Hermans, (9-2, 3 KOs). 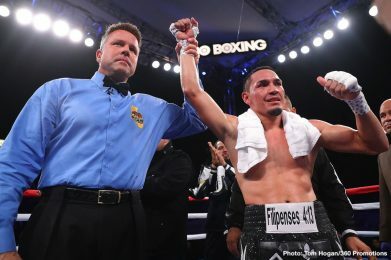 Scores were 100-90 on all three judges’ scorecards. 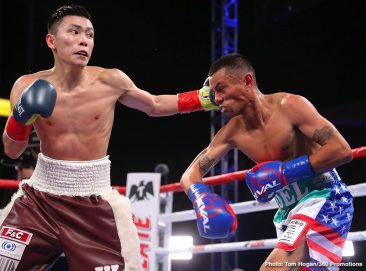 The more skilled Shields stayed in control from the start of the fight, keeping consistent pressure on against the game but outgunned Hermans. 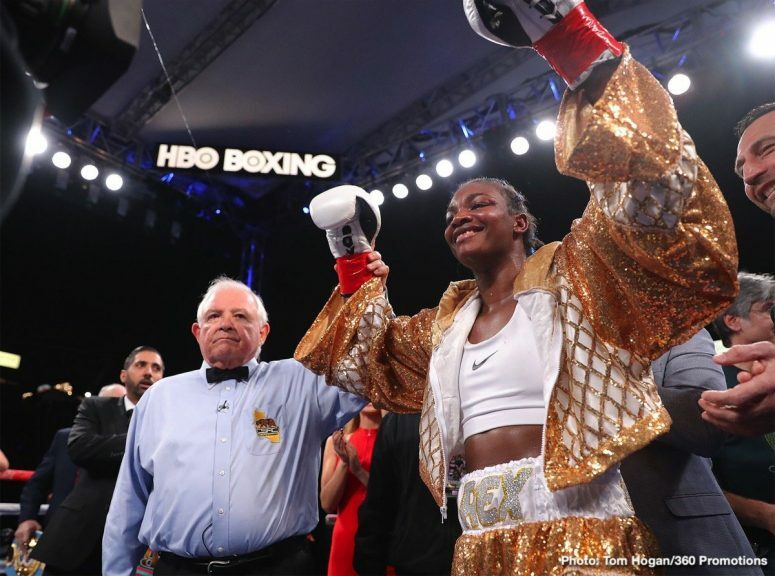 Stated Hermans, “I feel fine but I just couldn’t do what I wanted to do in the ring, Claressa is very fast. 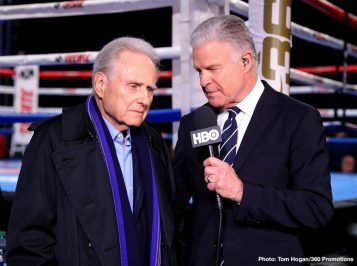 I only want to fight the best and I don’t want to be a paper champion. 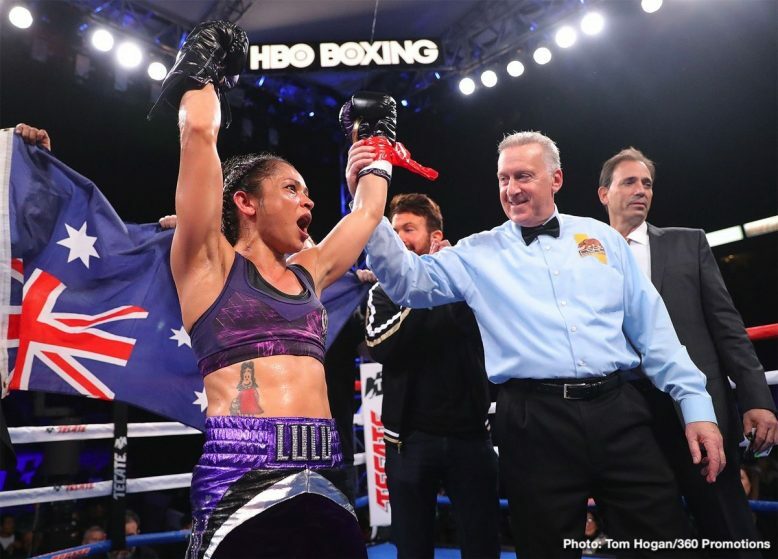 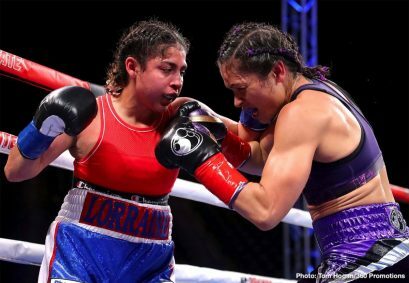 Highlight the undercard, popular women’s star Louisa ‘Bang Bang Lulu’ Hawton, (9-2-0, 5 KO’), was dominant against Lorraine Villalobos, (2-2) earning the stoppage after five rounds of their scheduled ten rounder. 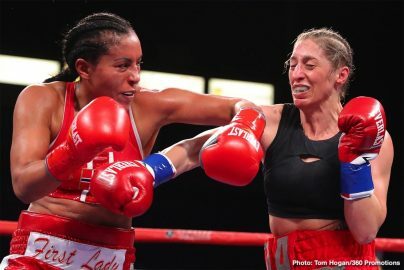 With the victory, Hawton was awarded the WBC Atomweight Title. 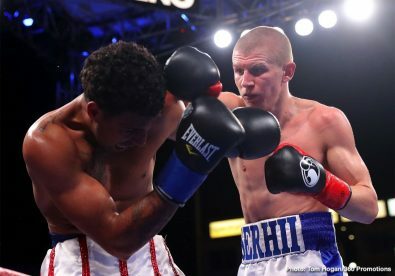 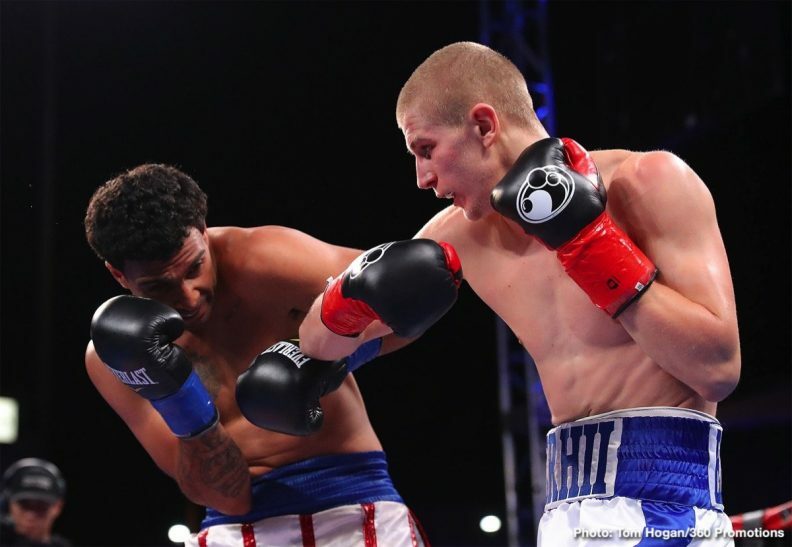 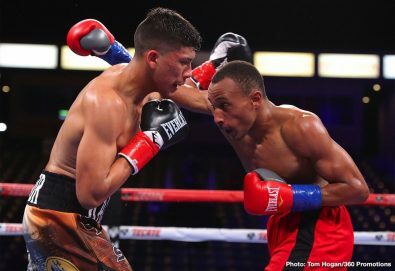 Also featured on the undercard top middleweight prospect Serhii Bohachuk, (12-0-0, 12 KO’s), stayed perfect with a six-round knockout of Carlos Garcia Hernandez, (15-20-1, 12 KOs).